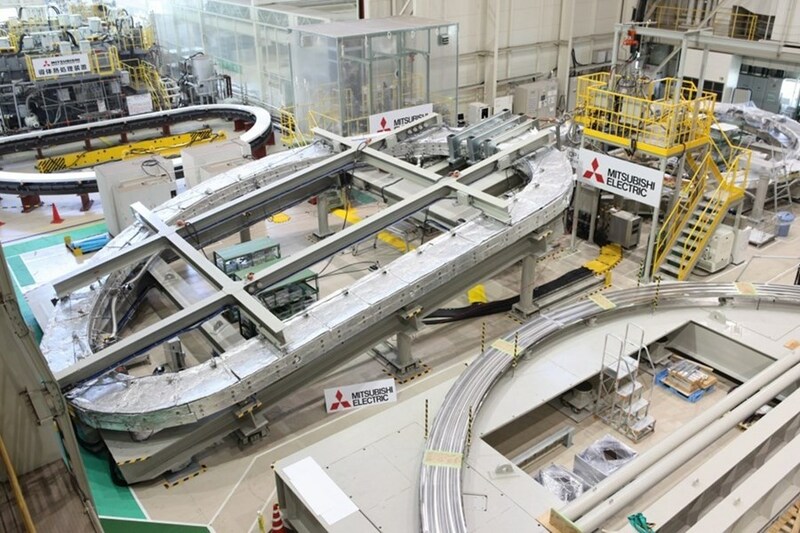 At Mitsubishi Heavy Industry's Futami factory, toroidal field coil windings are insulated by glass and polyimide tapes and impregnated with cyanate-ester and epoxy resins to harden the assembly. ITER's first completed toroidal field coil is expected on site in 2018. All the participants to the ITER Project are involved in the procurement of machine components and plant systems. In addition one Member—Europe—is responsible for procuring the buildings and technical facilities of the scientific installation. During the negotiations that led up to the signing of the ITER Agreement, the original sharing of procurement was decided between the Members—about 45.5 percent for Europe, and 9.1 percent each for China, India, Japan, Korea, the Russian Federation and the United States. This unique procurement sharing program has an important purpose, allowing all Members to gain direct industrial experience in key fusion technologies. By participating in ITER, the Members are also preparing their scientific, technological and industrial infrastructure at home for the step after ITER—a demonstration fusion reactor. The distribution of in-kind fabrication tasks was based both on the interests and the technical and industrial capacities of each of the Members. The fabrication of key components is shared broadly—for example, the fabrication of the vacuum vessel sectors is shared between Europe (5 sectors) and Korea (4 sectors); the central solenoid is a collaboration between the United States and Japan; divertor manufacturing and testing is divided between Europe, Russia and Japan; India and the United States are sharing responsibility for ITER's cooling water systems; the blanket system will be produced by China, Europe, Korea, Russia and the United States; and finally, six ITER Members (all but India) are involved in the production of ITER magnets. The ITER Organization has already signed nearly 100 Procurements Arrangements with the ITER Domestic Agencies (one Domestic Agency has been established in each ITER Member). These agencies, in turn, contract out to industry for the fabrication of the component according to the very specific conditions laid out in the Procurement Arrangement documents. Since the beginning of the process, more than 2,800 contracts for design or fabrication have been awarded by the ITER Domestic Agencies. Today, in factories on three continents, the components and systems of the ITER plant are taking shape. The first (small-sized) components began arriving in boxes and crates in the third quarter of 2014. In 2015, the first "highly exceptional ITER loads" travelled along the ITER Itinerary. To see the photo gallery of ITER manufacturing, click here.